Combining dual flow paths into integral hose assembly, Hybrid Connector eliminates need for multiple connections and simplifies user interface between modular tools, umbilicals or hand pieces and device. Integrating high-cycle electrical contacts directly into connector eliminates need for separate power cable to remote tools. 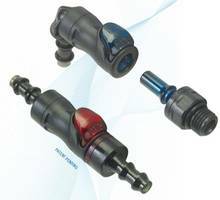 Also available in customized versions, connector suits applications such as diagnostic equipment, surgical tools, analytical instrumentation, and hospital beds. 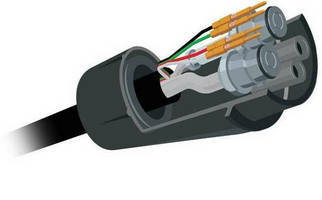 The Hybrid Connector from Colder Products Company, St. Paul, MN (www.colder.com) integrates fluidics and electronics into a single connection point. Combining dual flow paths into an integral hose assembly eliminates the need for multiple connections and simplifies the user interface between modular tools, umbilicals or hand pieces and a device. Integrating high-cycle electrical contacts directly into the connector eliminates the need for a separate power cable to remote tools. 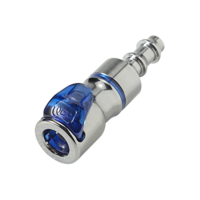 The Hybrid Connector can simplify connections in a wide range of applications including diagnostic equipment, surgical tools, analytical instrumentation and hospital beds. 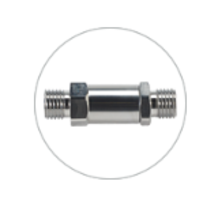 The easy-to-use connector also can be customized for specific customer applications.